The Guardian is my old employer. It has a long and honourable tradition of fearless investigations which do not follow the rest of the pack. That included holding the media industry to account. The decision this week to join the rest of the press pack and welcome the demise of Leveson 2 – the inquiry which would have taken a cold hard look at how mainstream media – in particular the News of the World and the Mirror – indulged in phone hacking and other nefarious practices is profoundly disappointing. It is even more so because one of the Guardian’s finest investigative reporters Nick Davies – now properly retired unlike me – exposed the practice in the Milly Dowler case which triggered the public exposure of the whole sordid business. It is the spurious reasoning the paper has used to justify such action. The paper talked about looking forward rather than in the back view mirror as the main reason why it had decided to side with the Sun, the Murdoch empire and the Daily Mail and Telegraph. Rebekah Brooks, Andy Coulson and Rupert Murdoch must be rubbing their hands with glee at their latest supporter, Kathy Viner, the editor in chief of the Guardian. The inquiry would have made publicly accountable the top people who authorised such shameful practices which bring investigative journalism into disrepute whether by hiring private investigators to blag, steal and phone hack anybody’s private life so long as they were a celeb or a Royal. More to feed the public’s voyeurism than in the public interest. Worse, through this culture, they may have been with the Met police an accessory to the horrific murder in 1987 of private investigator, Daniel Morgan – now at long last the subject of a forensic independent panel inquiry under Baroness Nuala O’Loan , the former first Police Ombudsman for Northern Ireland. If the second Leveson inquiry had been launched, the independent panel report would have helped inform Sir Brian Leveson in his difficult task. The dropping of the inquiry has nothing to do with the future of press regulation – even though it is in the interest of newspaper proprietors and The Guardian to suggest it is. That is a separate matter. If one followed the spurious logic of the Guardian – in simple don’t look back in anger – then it could have said in 1994 that the ” cash for questions” saga was also old hat -it was revealed 10 years after the event anyway- and there was no need for an expensive inquiry by Lord Nolan. Yet because they did examine this historic scandal we now have a benchmark for MPs and ministerial behaviour and a permanent body – the Committee on Standards in Public Life- which can investigate new issues of propriety. It still as relevant today as in the 1990s. The Leveson 2 inquiry could have provided something similar for the media and opened the debate on the way social media operates. The same logic would also suggest – as the Daily Mail and The Times already have – that there is no need for the present independent child sexual abuse inquiry – as that is just historic or why bother covering reports from the National Audit Office as they look back at past mistakes. It will be a very quick way of denuding the Guardian’s website and print editions. My suspicion – and I have no knowledge – is that this decision is driven by commercial worries. Mainstream media is being sandwiched between the rise of social media giants Google and Facebook who are taking away their advertising – and the growing popularity of websites and blogs – often with a right or left wing bias which attract a young readership. Panic has led the mainstream media to rush to hang together and try and stop any further independent inquiry into their working practices. They should be careful – those who hang together could fall together. That is why the Guardian – a traditional dissident voice – should hang its head in shame for what it now stands for. So Andy Coulson acting editor of the News of the World had NO knowledge that Glenn Mulcaire had hacked Milly Dowler’s voicemail. No comment! 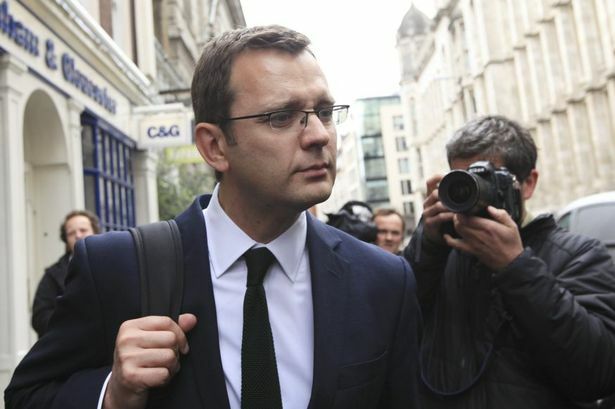 Day 91, Part 1: Andy Coulson had no knowledge that the News of the World’s private detective had accessed Milly Dowler’s voicemail, he told the phone hacking trial today. Coulson says he didn’t know about Mulcaire until he was arrested and never took much of an interest in private investigators! The love cheat admits he caused pain to his wife with his “on off” affair with Rebekah Brooks! Day 90, Part 2: Andy Coulson had a vague memory of Glenn Mulcaire’s company being mentioned at the News of the World, but thought it was something to do with “finding people” or “surveillance,” he told the phone hacking trial today. Day 90, Part 1: The News of the World had a culture of “secrecy” and “intrigue” where reporters closely guarded their contacts, Andy Coulson told the phone hacking trial today. Day 87: A senior News of the World executive lent his personal support to a reporter arrested for phone hacking because he and News International liked to help senior staff in difficulty, he told the Old Bailey today. So Stuart Kuttner proposed a 50 per cent cut to the £100,000 a year paid to phone hacker Glenn Mulcaire and can’t remember why it was rejected. Interesting! Fascinating that the managing editor can’t exactly remember whether he spoke to phone hacker Glenn Mulcaire who received over £1m from News International. 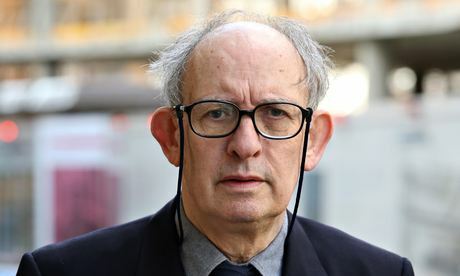 Day 86, Part 1: Stuart Kuttner may have spoken on the phone to the News of the World’s phone hacking specialist Glenn Mulcaire, he told the Old Bailey today.